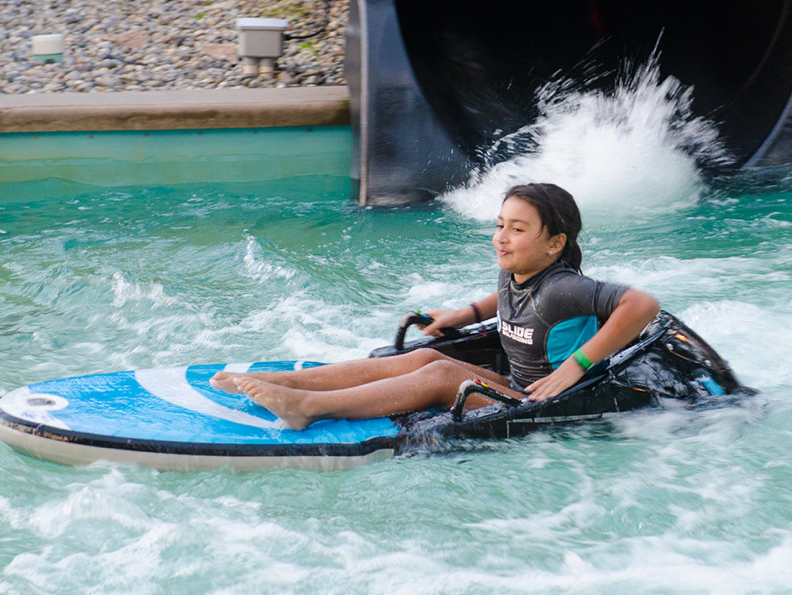 A new water park ride concept will make its world debut at Wet'n'Wild Las Vegas in 2015, manufacturer WhiteWater has announced. Slideboarding "is a waterslide that integrates gaming, skill, edge, and competitive sports into an experience that will define waterparks of the future. 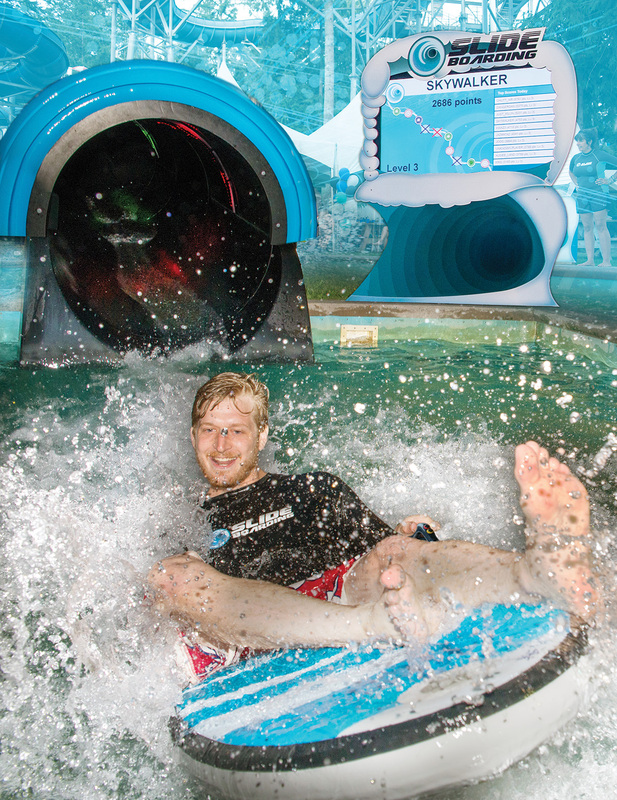 It’s a waterslide that uses a state-of-the art ride vehicle with an S3 embedded game controller that when combined creates what we call a Slideboard. It uses a smart gaming system that knows who you are and tracks your progress/scores over your run down the waterslide as well as multiple runs thereafter. This system also posts the scores on the Scoreboards and on the home app and Slideboarding Website." "Manning your slideboard, you get into riding position at the entry tub with the goal of mastering the targets with your quick gaming fingers gripping the cool looking game controller vehicle. You launch into an atmospheric light show with sensor-activated targets challenging you at every turn. Tap the right buttons on the controller with skill and agility as you go down the waterslide hitting the targets in an effort to score the highest points possible." The slide will actually be able to adapt to riders as they move down the course, changing targets to be more difficult if it senses that an advanced slider is playing. 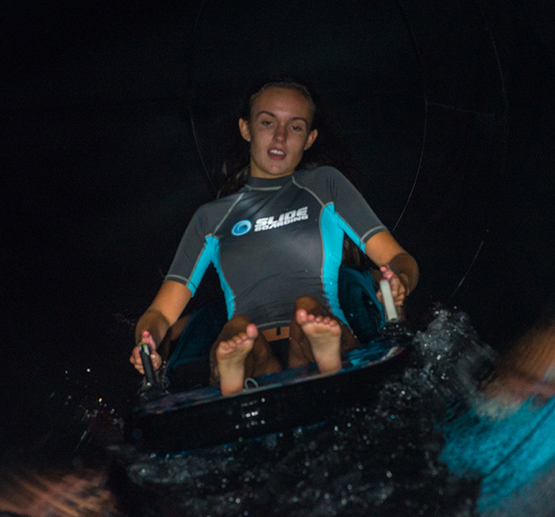 Slideboarding can be added to an existing 54" diameter tube/open water slide and can utilize one or two person slideboards. It seems as though an existing slide at Wet'n'Wild Las Vegas will be transformed into a new Slideboarding attraction. WhiteWater will show off their new attraction at the upcoming European and Orlando based IAAPA shows, and have plenty of additional information available on their website.